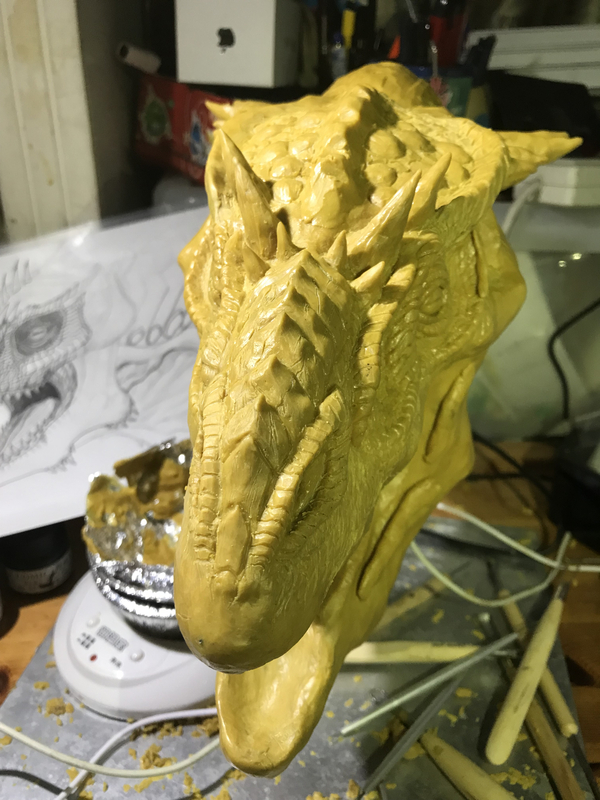 I got a dragon head maquette progressing now, but I add many spines and spiky scales on It, how can I keep these details when I'm molding it? What are you planning to cast it out of? Many artists cut their spines and horns off gently- mold them separately and glue them later on with blending and sanding the cutting edge. Thanks for comment! I used oil based clay for the maquette. I believe cutting the horns temporarily is a great idea that worth trying. I've actually planned to make an animatronic head out of it. ^^ And i planned to use silicone to mold it, can it retain the horn details directly? Or are the horns must be made from different materials on an animatronic's skin? Molding silicone will grab all the fine details, if its gently brushed and bubblefree layed on. Usually big horns are attached to static bones in nature. 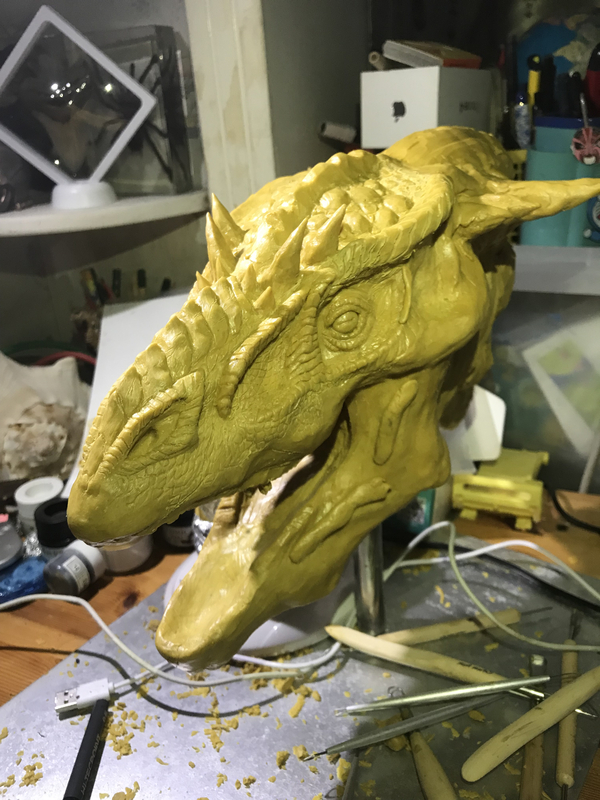 So you might cast the horns seperately in a translucent Resin and glue them back to your epoxy underskeleton, which you want to create for the animatronic attachments. The silicone "skin" will cover the skeleton and will be glued to the skull- at the base of the horns, too. That guarantees, that the horns will not move, if there is a moving point for mimic near by.